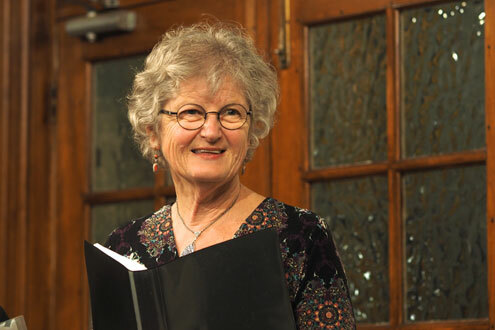 Christine Wheeler is a singer, musician and community choir leader from the Blue Mountains. She performs folk music in various combinations at venues around the mountains, directs The Heathens choir in Blackheath, sings in an acappella renaissance music quartet, 'Canon Fodder' and leads a singing adventure in Nepal every 18 months or so called Sing Trek Nepal. Christine worked for 12 years as a musician in the Musica Viva in Schools program. MVIS offers a diverse program of high quality music to primary schools around Australia and an opportunity for participating musicians to share some of their love for music with a younger generation of Australians. 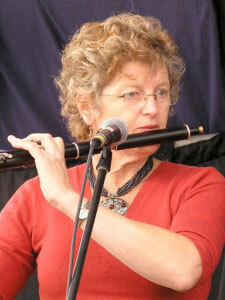 She led Australian Celtic band Wheelers and Dealers to multiple awards during their ten years working together. She co-wrote the song 'Woomera' for which Wheelers and Dealers won the MusicOz award in 2003. The second CD from Wheelers and Dealers, entitled 'Full House', won the Folk Alliance Australia recording award for 2007, and was distributed in Australia/NZ by MGM. 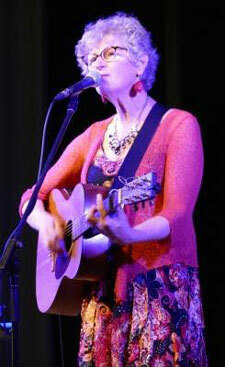 Christine's involvement in folk music goes back more than 30 years. Her passion for music as a vehicle for social and community cohesion led her to the traditional music of various cultures, while living in Melbourne amongst a vibrant scene of musicians exploring Irish, Scottish, Balkan, Italian and South American traditions. Since moving to Sydney she completed music studies in performance and ethnomusicology at the University of Western Sydney and University of Sydney, and has at different times been a member of the Sydney Philharmonia Choirs, the Renaissance Players and various folk ensembles. Christine's recording credits include Warren Daly (of the Daly-Wilson Big Band) on his American Civil War concerto Old Glory, Dog Trumpet (the O'Doherty brothers of Mental as Anything), Shameless Seamus and the Tullamore Dews (Irish band of Jim Moginie, ex-Midnight Oil), as well as a number of Australian songwriters and recording artists. Christine's recent 'Rain in the Mountains' project grew out of several years of voluntary labour helping to celebrate the musical output of another folk musician, Chris Kempster, who was himself passionate about the lyrical output of Henry Lawson. The final part of that project was a second edition of a songbook entitled 'The Songs of Henry Lawson', published for us by the NSW Folk Federation. 'Loved your show, and our copy of your cd is almost worn out! Thanks for helping us to appreciate this great Australian poet'. The CD features performances from a number of exceptional musicians from the Blue Mountains and beyond. You will find more information about Christine and her music, including more music tracks, here. 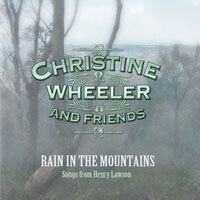 There you can buy the "Rain In The Mountains" CD - and contact Christine.